Prior to 1850 there were no primary or secondary schools as we know them today in the Country. All schools were the result of private endeavour. In Billericay in 1850 such a school, called The British School, was opened to teach all the children of the Town. This was a Nonconformist School and its equivalent was the National School (Anglican), now the brick built scout hut in Laindon Road . It was built by the Mabbs Trust, which was a nonconformist charity that owned all the houses in Sun Street. The land used for the hall was formerly the rear gardens of the houses in Sun Street. The bricks used are of the same type as used for the construction of the Congregational Church opposite the hall in Chapel Street . In 1870 the Elementary Education Act ( known as ‘the Forster Act’) was passed giving powers to Local Authorities to build Primary Schools for all the children in their area aged between 5 and 13. In 1873 the Rose Hall became the Girls School for Billericay and the ‘Scout Hut’ became the Boys School for Billericay, pending construction by the Great Burstead School Board of a new School in Laindon Road . This first such school in Billericay was the Laindon Road Primary School which was opened on 10th September 1878 . 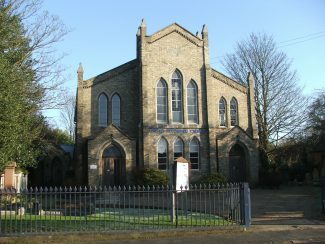 With the opening of this new school, Rose Hall became redundant as a school and was taken back by the Trustees of the Congregational Church who had built it as a Sunday School. However this did not prove viable and so the hall was sold. Subsequently the hall was owned by the Taylor Family who were chandlers and lived in Chandlers Cottage at the rear of Lloyds Bank in the High Street. For many years, they used the Hall to store grain. In 1947, John Taylor left the Royal Air Force after serving for a number of years, and sold Rose Hall to the Royal British Legion for £900. John Taylor is remembered by some as a habitué of the Chequers Public House. The Royal British Legion has owned the hall from then until the present day. Although owned centrally by RBL Head Office, the day-to- day maintenance of the Hall is the responsibility of the Billericay Branch as trustees. Between 1975 and 1996 the Rotary Club of Billericay rented the hall for £150 per annum, also assuming responsibility for maintenance. During this period they made a number of additions including construction of a small storage area above the entrance, accessed via a new stairway. Since 1997 the Hall has been looked after by the Committee of the Billericay Branch of the RBL, principally by its current president, Brian Hughes MBE, who had known John Taylor as a client of his solicitor’s practice when it was located in Billericay High Street. 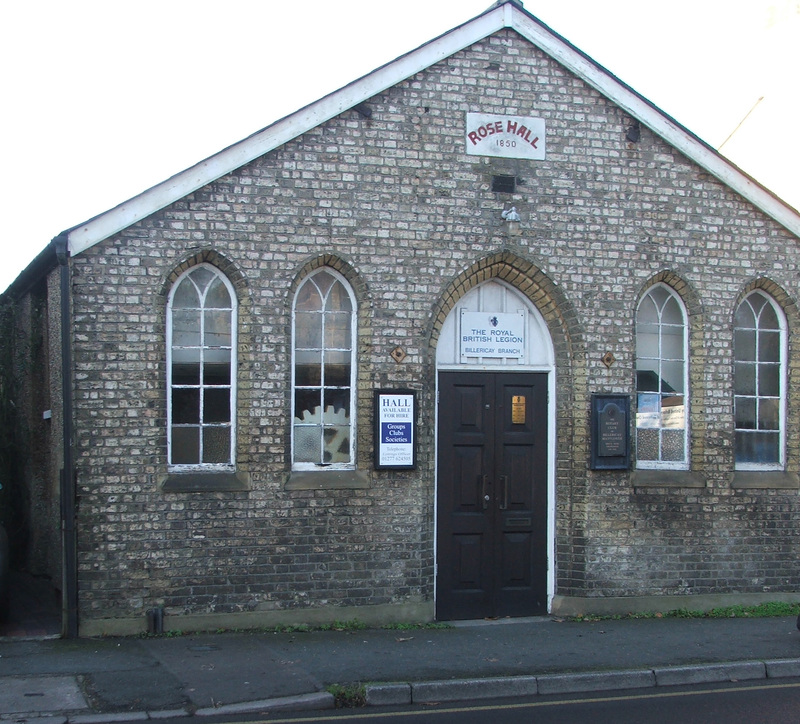 My new husband and I held our wedding reception in this hall on 30th September 1967 after being married in the Church of England Church in the High Street. I went to the Church in one of my Dad’s taxis (Colliers’ Taxis). Our music was played by the Marconi Group from Chelmsford.